Next question would be, anybody knows where I can get this figure set? I'm only looking to get Haxorus, but if somebody has the link to a store that currently sells it, I would be willing to pay for the set that includes Emboar and Haxorus. Other members in the community have been looking for some figures in the set, so I'm also asking to help the others get them as well. Thanks so much for your attention! Greetings from Mexico :) ! Please wait for claims to go up!! Threads are up you can claim now. Pokemon Mate totals PART ONE!! Hey everyone!! Here are the totals for the first part of Pokemon Mate goods this July! If you ordered a mug, tote bag, or strap, your total is under here! If you ordered movie goods from Sunyshore: Please take $3 off your total and make a note of your order number! If you reserved Ichiban Kuji items: Please just make a note that you have a reservation. Do not take any money off as these items are not guaranteed! Now, I am here with a small MPC Group Buy (except Kyurem, which is a Banpresto plush)! - This is a Group Buy, and I will buy it from Noppin. - There will be three payments due, one is for the items and shipping to Noppin, then from Noppin to me and lastly from me to you. - Shipping from me won't be much, it would be 4$ (which includes shipping, pacakging and fees) for sure, as MPC plushies are really light. 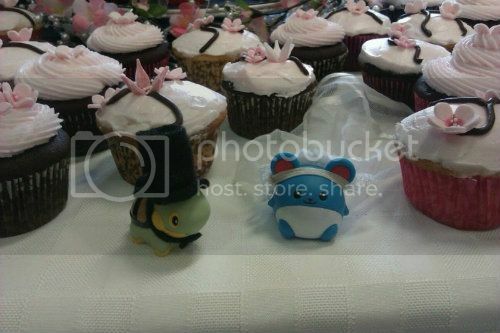 For Kyurem, he looks like he will be under 100 grams, so it should be the same for him too! - Each plush should be around 5.7$ (per yen to dollar conversion). - I am willing to claim other plush, if there will be some unclaimed. 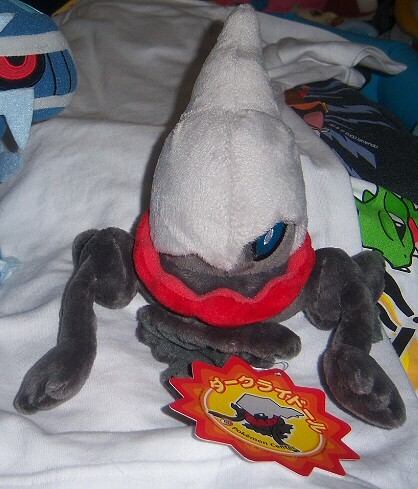 - I am claiming Scolipede and rerelease Snivy MPC plushies, others are up for grabs! Please stop If you are sticking to the package Please tender of who can acknowledge that over because some part is damaged because it is out of prize tagged, but not used because it becomes a source of trouble . After the cancellation of successful bid, overseas shipment is not available. Thank you no claim no return of the character of the commodity. Because it is unopened, the initial malfunction of the commodity in the manufacturer-thank you. We will put the movie version Kyuremu of prize. Does this mean that Kyurem will not be included? and eventually I will post an ebay auction... @w@ it's kinda annoying to get the items all in a box to bring for a shipping quote. Here's a link to the things I've been on the hunt for... some of the items I can find on Y!J or similar sites, but I've been holding out for maybe a cheaper alternative ;__; CLICK ME FOR WANTS LIST!! The priority items on that wants post are the Christmas pokedoll, Halloween plush, large 3 ft Piplup (yeah right, like I'll ever find this...) and Gengar's Shadow (Pokemon Tales book - SERIOUSLY GUYS, THIS IS THE LAST BOOK I NEED TO FINISH THAT COLLECTION D: D: D: ), so if you have any of those, I'll give you big bucks. $$$$! Lastly, I GRADUATED FROM COLLEGE/UNIVERSITY! WOOHOO!!!! Since I've graduated, I've made plans for moving in around mid-September! That's why I've been so diligent with taking pictures... since I've been packing up my collection into boxes. Soooo... where am I moving to? The answer is... Seattle! And finally a ditto bellchain! It's so cute! 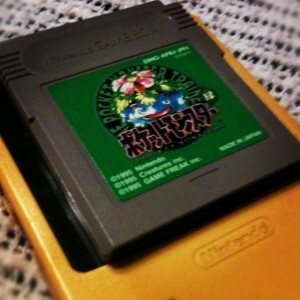 I also have a mew that looks like it's from the same series. 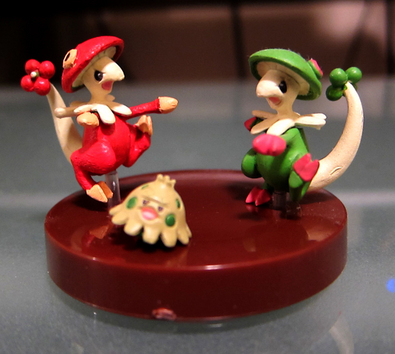 Anyone know what they are or what other pokemon were in this series? Anyways, I've got a nice amount of packages coming in from trades and buys lately. So it's time to show off the best stuff! Some of them came in ~2 weeks ago, some under 24 hours ago :D I just wanted to pile the best stuff for you to see. The Flock of Woobats GA went really well! If you didn't get your tracking emails from PayPal let me know. There were some leftovers, and of course they are things I already own! So I am selling the leftovers, and the other Woobat I claimed. Once I got him in my hands I realized I wasn't a fan of how he looks. All are in perfect condition with tags attached! I have an extra throw ball so let me know if you'd like it for free with the throw plush, but keep in mind it will add extra weight to the package which will bump up the shipping cost. Here is my Wants Post! Take a look and if you have something I want I will trade/buy it! Also, I should be able to open amigurumi commissions this weekend. I usually post at night around 8 PM CST. I'm going to shoot for Sunday night, so look out for that! Some gets, wants and few questions! Hi everyone! I've been busy this past week and finally found time to get to post my gets from some awesome community members. Also I have a few wants and some questions if you all could help me with that. A bunch of photos following the cut so be prepared! So follow me to the cut to see some new gets, a few wants, and questions!! 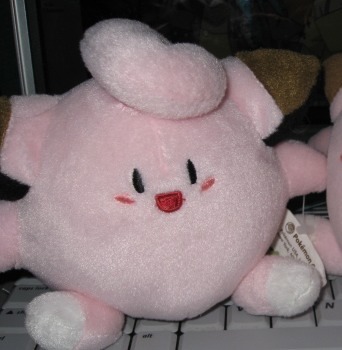 It's the Clefairy Pokedoll! I have the plush plush already but would love to get hold of her sister <3 can anyone help? Please let me know! This month's Corocoro has started leaking and has officially revealed Genesect's identity! This officially completes the Unova region's Pokedex. According to Corocoro, a level 50 Genesect will be distributed in Japan from 11 Aug to 14 Sep, only for Pokemon BW2. Earlier this month, it was revealed that Genesect will be starring in next year's Pokemon movie! There are currently no merchandise of Genesect announced so far but do you plan to collect Genesect's merchandise once they come out? Since it'll be starring in the next Pokemon movie, we can expect a TON of merchandise of this Robotic Bug! Hey everyone, remember these kids? The auctions on them end tonight in just 5 hours, at 10pm EST, so get your last minute bids in! 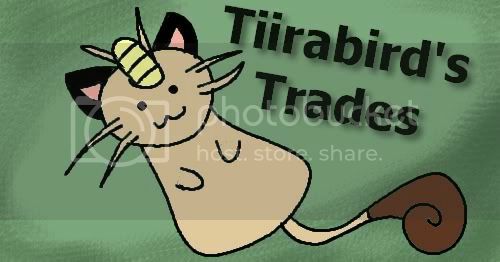 Mewtwo, Ho-oh and Lugia have no bids at all so far, and many of these kids are still at their starting bids of $2! Click here to go to the auction! It's from a very recent set but I thought I'd try here anyhow. And I know they're on Y!J but a 400 yen plush after shipping and fees would end up being $21-22 which is a bit much for the type of plush it is. 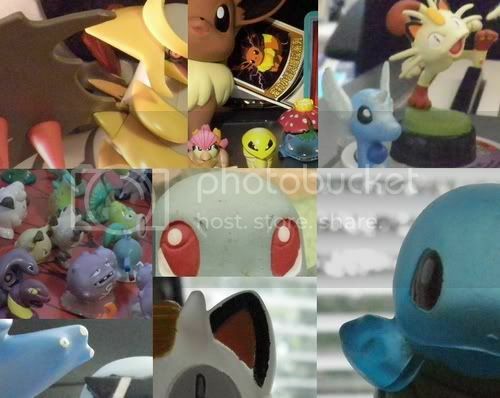 - Most of the figures are in a good condition, tiny scuffs at most. But ask if you're worried. Please let me know if you have some of this stuff!!! 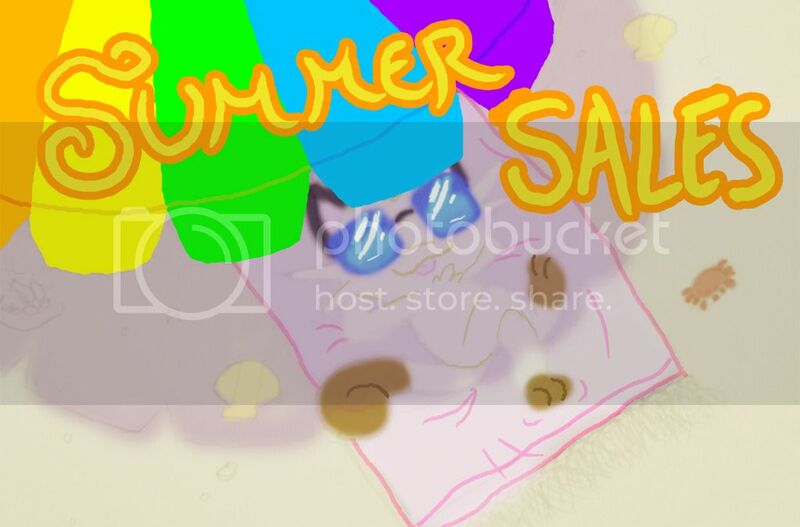 *Sales I'm too lazy to add to my regular sales P:. I need to get some plush for my bf's birthday that is coming up soon! It does not matter if the hang tag isn't there, what matters is is that it is not a bootie. I'd like it to be from Japan because the minky is soft and nice. 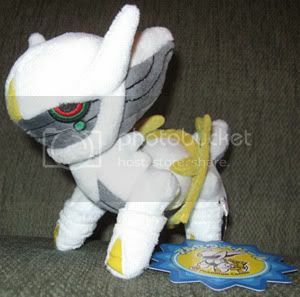 I want to know some of the best trainer/human plush makers that are currently open for commissions. I would love to get the same quality designers as some of Gin's custom human plushes. So, I found my camera, and got a "few" pictures together (hopefully I can get the LJ cut to work for me ^^;) of the collection. Mostly plush and mini figures and such. Please enjoy! 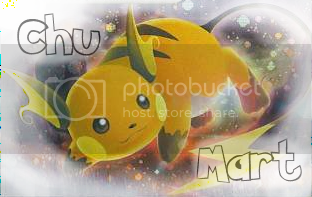 Hey there pkmncollectors! I'm a long time lurker, but I've finally gotten around to joining. 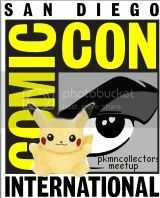 Pkmncollectors San Diego Comic Con Meetup. Final details! Feel free to bring along a little pokemon travel buddy (like my canvas plush) or some portable video game (black/white battle, anyone?). I can update this message with a map once I have access to a computer (typing this from my phone, phew!). EDIT 7/13: Map is here!